Most of the opinions raised at the meeting stressed the necessity of reform so that the social insurance policy will truly be a pillar of the social security system. They shared the view that social insurance is an important policy of the Party and the State as it is directly related to people’s lives and significant to realising social progress and equality and ensuring political stability and social order and safety. Reforming the social insurance policy is a critical issue and needs thorough consideration so that it will match the salary policy and other social policies, they said, adding that it requires the high political resolve of the political system and all people. The draft plan clarifies general and concrete objectives of the social insurance policy reform in three periods: by 2021, by 2025 and by 2030. Many participants agreed on the objectives, tasks and solutions of the reform set in the draft. They were also unanimous that the Party Central Committee will issue a resolution on this matter. Vice Chairman of the National Assembly Phung Quoc Hien said the draft plan aims to create a diverse and multi-level social insurance system with a focus placed on increasing compulsory social insurance so as to achieve insurance coverage for all people. At present, only 13.9 million out of 53 million employees have joined insurance. Among them, a small number of 200,000 people are covered by voluntary insurance, he noted. 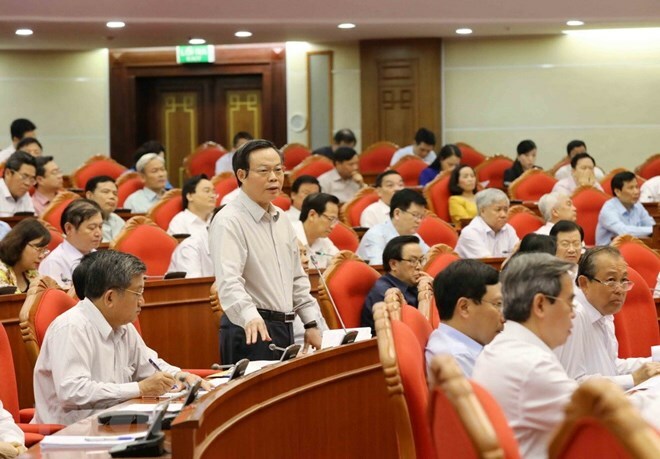 At the meeting, many members of the Party Central Committee talked about adjustments to the retirement age, which is an issue attracting great public interest. Minister of Labour, War Invalids and Social Affairs Dao Ngoc Dung said this is a common trend, adding that Vietnam is currently in a period of “golden population structure”, but it will start entering the population aging period in 2026 and be one of the countries with the fastest speed of population aging in the world. If Vietnam does not have political determination, vision and swift actions, this burden will be passed to future generations, he added. The draft plan on social policy reform is one of the three plans being discussed at the 7th plenary session of the 12th-tenure Party Central Committee. The two others are on building the cadre contingent and reforming the salary policy.